Wetherby-based supplier of laser cutting and metal fabrication equipment, MBA Engineering, has appointed two new team members to assist in driving the business forward as it looks to increase turnover by 100 per cent over the next 12 months. Shane Hudson has joined the team with more than 12 years’ experience in the engineering sector, specialising in machinery moves and installations. Shane’s role at MBA Engineering will involve him heading up the company’s machine moves department, utilising his knowledge and expertise to boost the business’ one-stop-shop machine moving solution. As well as enhancing the company’s existing machine moves offer, Shane will be vital in further developing this department, using his established skills to enable MBA Engineering to offer a host of different machine move and installation services, across a wide variety of equipment. Mick Hudson has also joined the business with more than 23 years’ experience in the engineering sector, bolstering MBA Engineering’s roster of engineers. Taking on the role of senior engineer, Mick will be responsible for mentoring MBA Engineering’s existing engineers in order to assist with their development and advancing their skill sets. He will also be key in bringing more engineers on board to further strengthen the company’s capabilities. Bradley McBain, managing director of MBA Engineering, said: “With their varied and extensive skill sets, both Shane and Mick will be invaluable in helping us become the go-to source for industry-leading laser cutting equipment, while offering some of the best customer service in the industry. 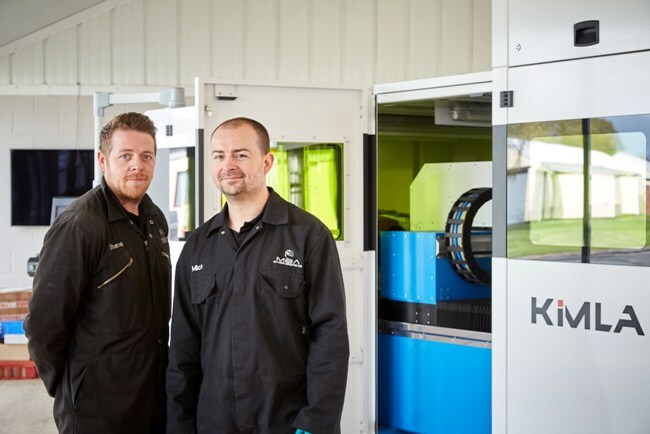 Yorkshire-based MBA Engineering specialises in supplying machinery and consumables for metal fabrication and is the exclusive supplier of the revolutionary Kimla fibre laser systems in the UK.